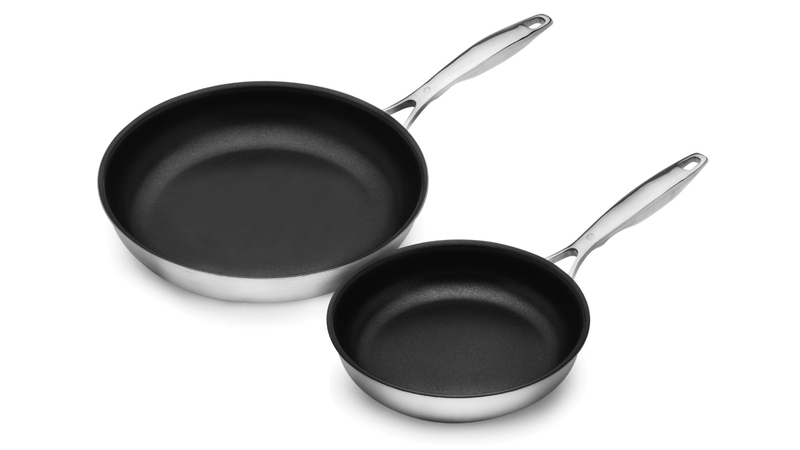 Set includes a Swiss Diamond Prestige Clad 8-inch and 11-inch Stainless Steel Nonstick Skillet. The Swiss Diamond Prestige Clad Stainless Steel Nonstick Skillet is perfect for cooking eggs, searing meats and fish, or sauteing vegetables. 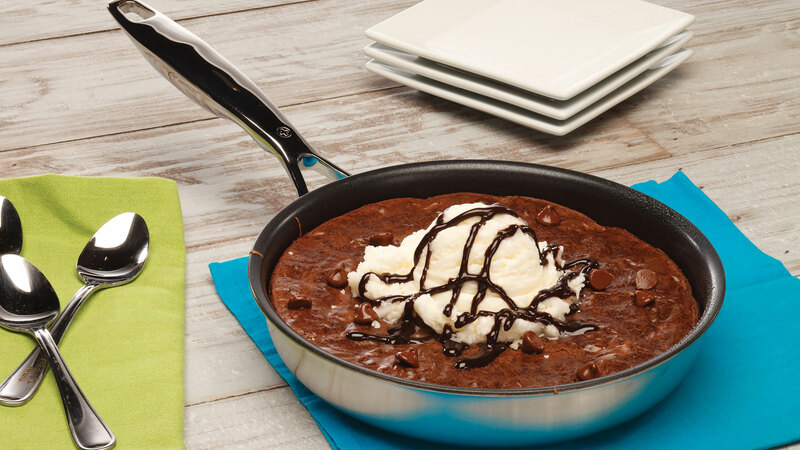 Breakfast, lunch, dinner and dessert, Swiss Diamond Nonstick Skillets do it all. Swiss Diamond Prestige Clad features a solid foundation built from 5-layers of steel comprised of an 18/0 magnetic stainless steel base layer, pure and alloy aluminum, and closed with an 18/10 stainless steel layer. A layer of plasma coating is applied next to eliminate oxidation and to form an extremely strong bond with our XD nonstick coating. 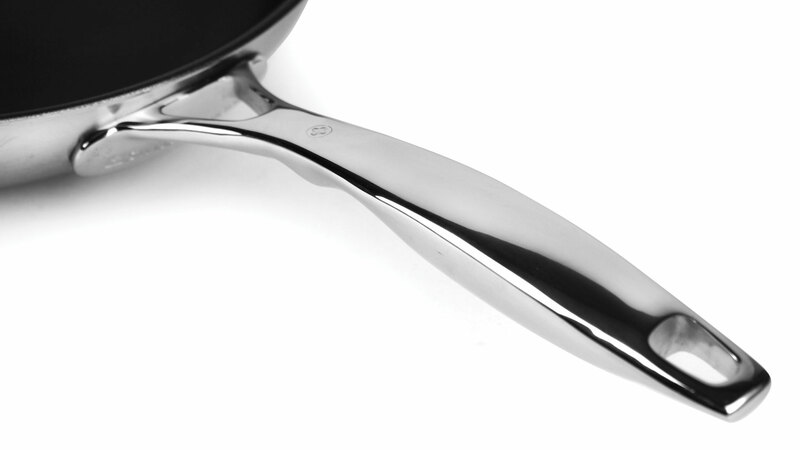 Swiss Diamond finishes each item with three layers of XD Nonstick diamond coating, making this the most prestigious line in stainless steel cookware. 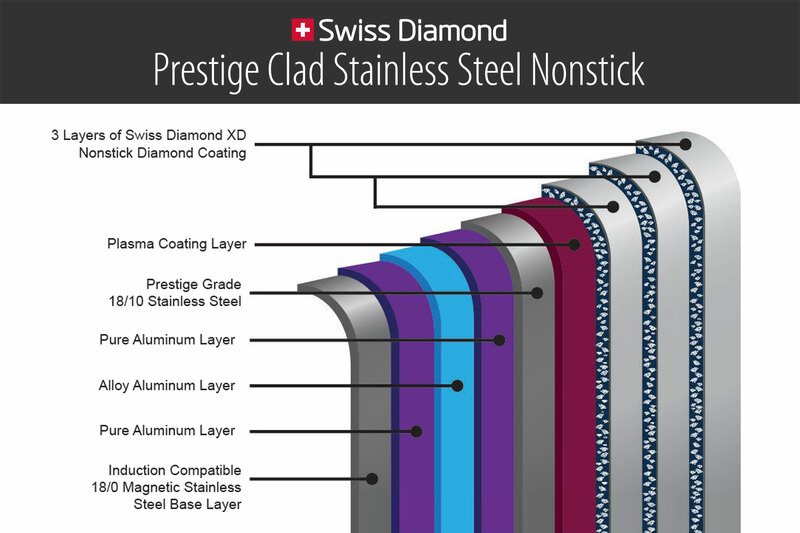 Swiss Diamond Prestige Clad has been developed after many years of research and development. The nonstick technology that is incorporated results in brilliant cooking performance and our patented Swiss Diamond nonstick coating results in the perfect food release every time. The bonded layers allow the heat to be evenly distributed and retained around the pan, removing the possibility of hot spots. The layers also allow for a constant and even temperature in the walls, thus reducing energy loss. This will also have a positive effect on your cooking times, reducing the amount of energy that you have used to produce your meals. A big plus in reducing your household utility bills and emissions. Made in Switzerland with a limited lifetime warranty. https://www.cutleryandmore.com/swiss-diamond-prestige-clad/8-11-inch-stainless-steel-nonstick-skillet-set-p137058 37058 Swiss Diamond Prestige Clad 8 & 11-inch Stainless Steel Nonstick Skillet Set https://cdn.cutleryandmore.com/products/large/37058.jpg 179.9900 USD InStock /Cookware/Fry Pans & Skillets Set includes a Swiss Diamond Prestige Clad 8-inch and 11-inch Stainless Steel Nonstick Skillet. 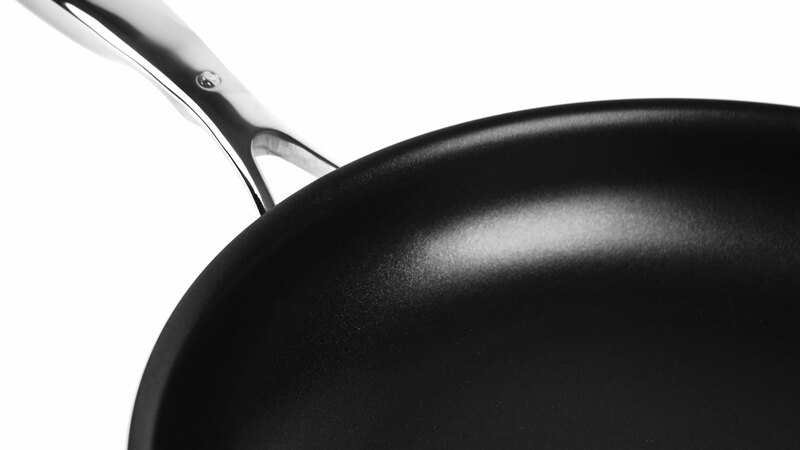 The Swiss Diamond Prestige Clad Stainless Steel Nonstick Skillet is perfect for cooking eggs, searing meats and fish, or sauteing vegetables. 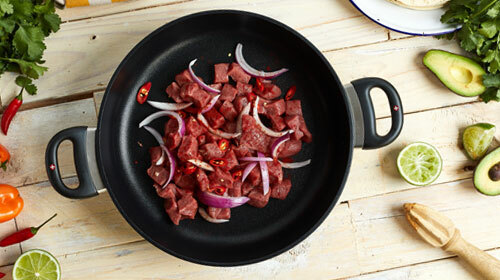 Breakfast, lunch, dinner and dessert, Swiss Diamond Nonstick Skillets do it all. 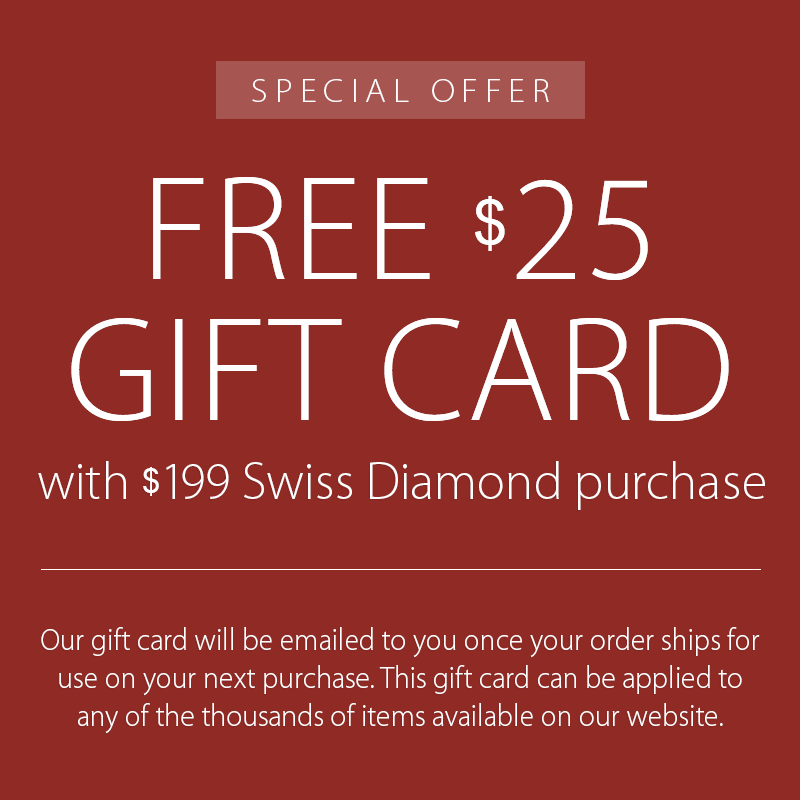 Swiss Diamond Prestige Clad features a solid foundation built from 5-layers of steel comprised of an 18/0 magnetic stainless steel base layer, pure and alloy aluminum, and closed with an 18/10 stainless steel layer. A layer of plasma coating is applied next to eliminate oxidation and to form an extremely strong bond with our XD nonstick coating. 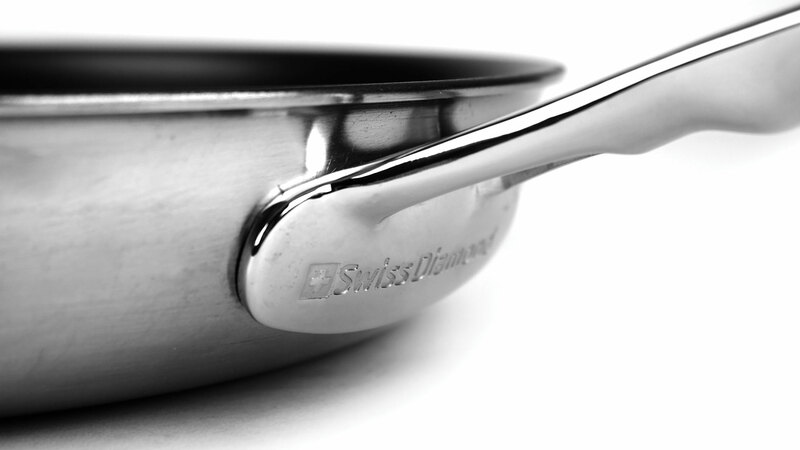 Swiss Diamond finishes each item with three layers of XD Nonstick diamond coating, making this the most prestigious line in stainless steel cookware. Swiss Diamond Prestige Clad has been developed after many years of research and development. 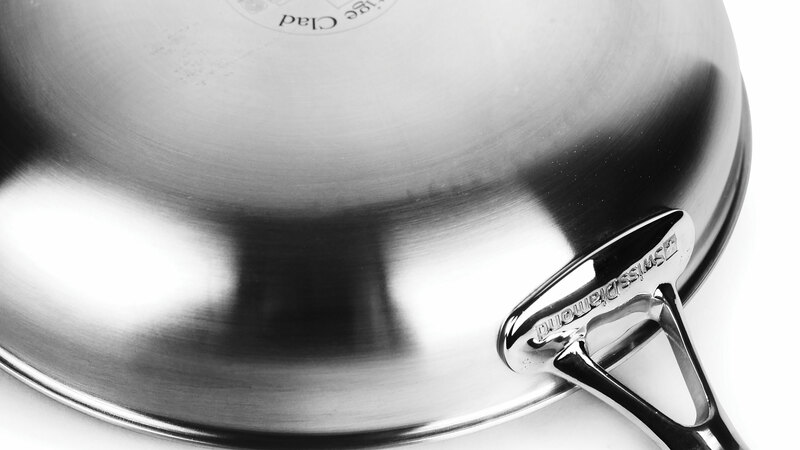 The nonstick technology that is incorporated results in brilliant cooking performance and our patented Swiss Diamond nonstick coating results in the perfect food release every time. The bonded layers allow the heat to be evenly distributed and retained around the pan, removing the possibility of hot spots. The layers also allow for a constant and even temperature in the walls, thus reducing energy loss. This will also have a positive effect on your cooking times, reducing the amount of energy that you have used to produce your meals. A big plus in reducing your household utility bills and emissions. Made in Switzerland with a limited lifetime warranty.